Figures askew – who is pulling a stroke? A cycle of pain can you understand the feeling? 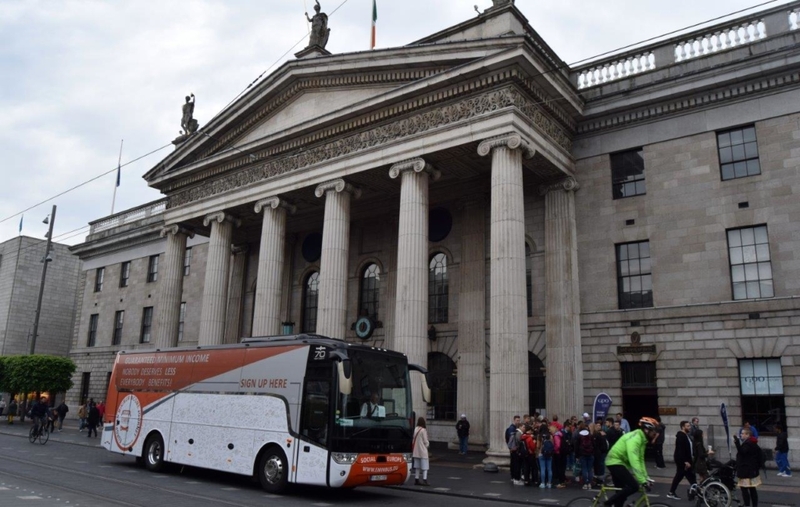 Today the bus tour was active at a key histroical building in the life of Ireland, the General Post Office (GPO) on O Connel Street in Dublin, the site where the proclamation of the Republic was read in 1916. 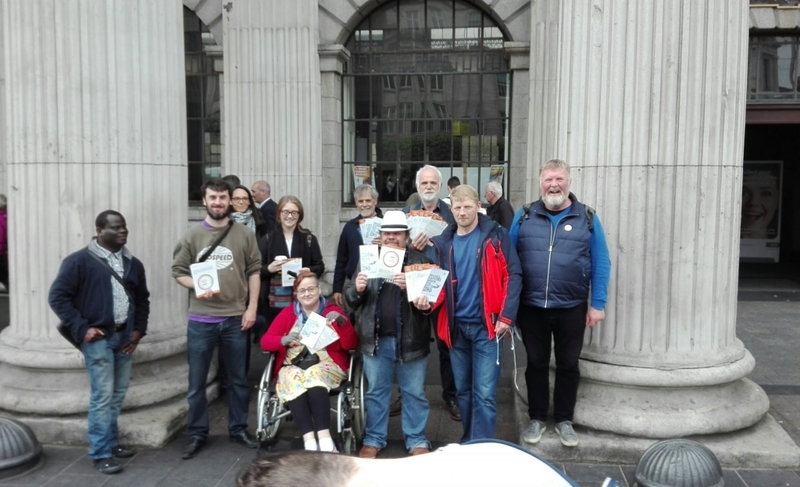 There was an active engagement with passers by and we were pleased to be welcomed by the representative of the Irish Human Rights and Equality Commission. 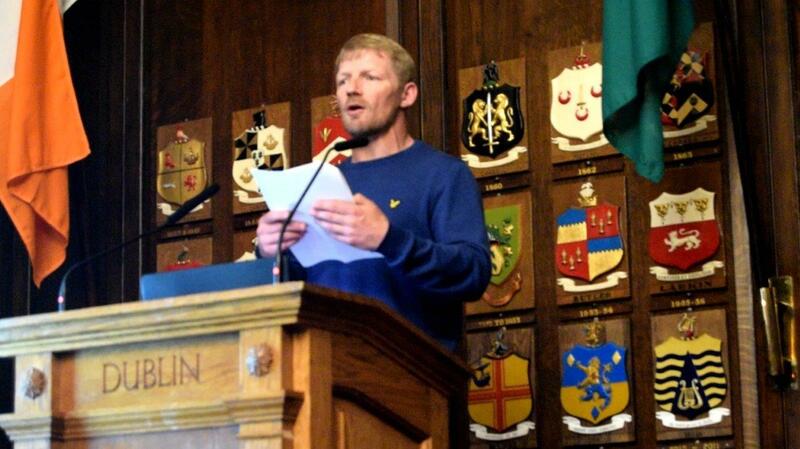 In the afternoon we were gathered in the home of the Lord Mayor of Dublin, the Mansion House. 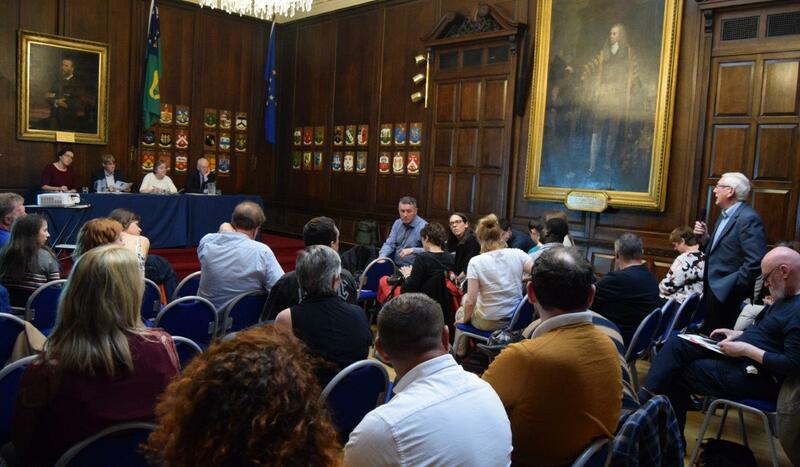 A lively panel made up of the Deputy Secretary of the Department of Social Protection, a representative of the Irish National Organisation of the Unemployed and a representative of the Irish Business and Employers Confederation responded to the presentations of the EMIN Organsiers and Community Activists, Paul Uzell. The role of well designed and adequate Minimum Income Schemes to prevent poverty was highlighted. The link between adequate income, accessible services and opportunities to access decent work was also highlighted. The importance of defending what we have while trying to ensure that social assistance is developed and made fit for purpose in our current context was also stressed. It was good that there was also a focus on the role that can be played at European level to ensure adequate Minimum Income in all European countries.